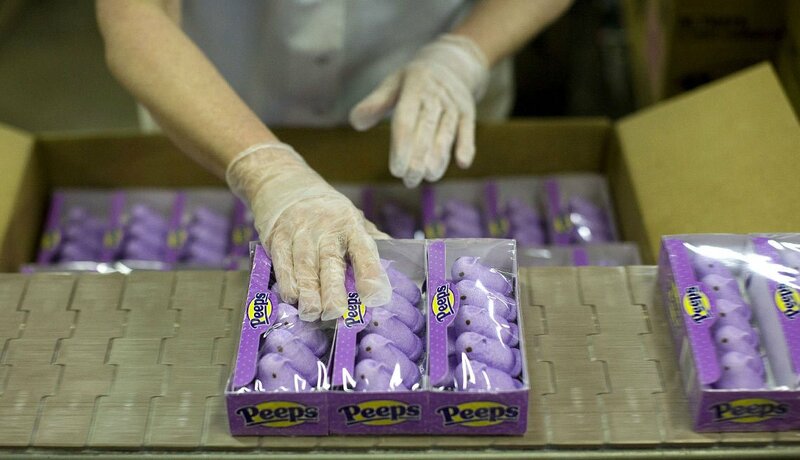 En español | Ninety-four years ago, Sam Born opened a little candy store in Brooklyn selling daily-made confections he boasted were fresh because they were “just born.” In 1953, the Just Born company began producing marshmallow chicks called Peeps, and the sugary, squishy treats now have a huge, devoted following. Here are 11 things we bet you didn’t know about the iconic Easter candy. 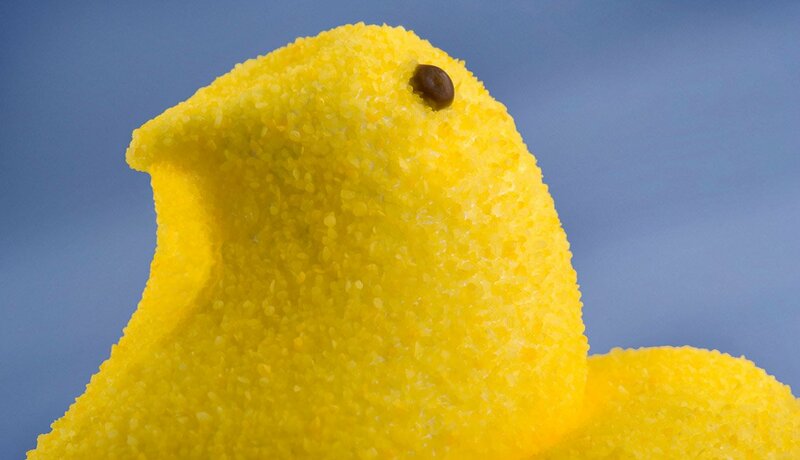 It used to take 27 hours to make a single Peep because each one was hand-squeezed from a pastry tube. That was in 1953. 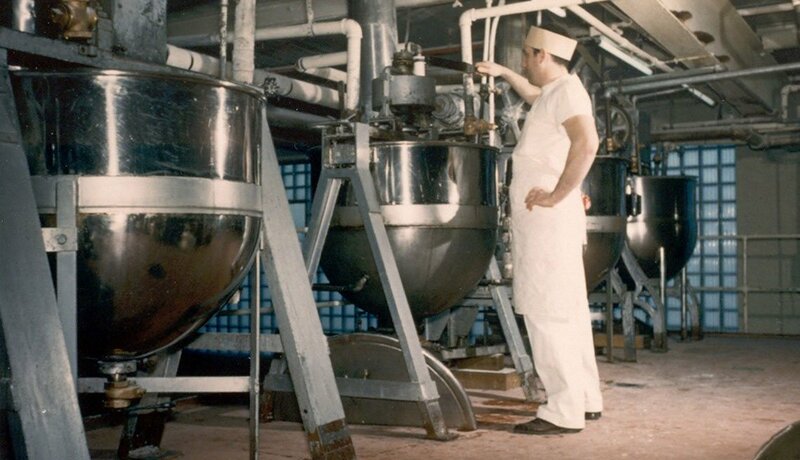 Now it takes six min.utes, thanks to owner Sam Born’s son, Bob, who mechanized the process in 1954 with a special machine still used today. 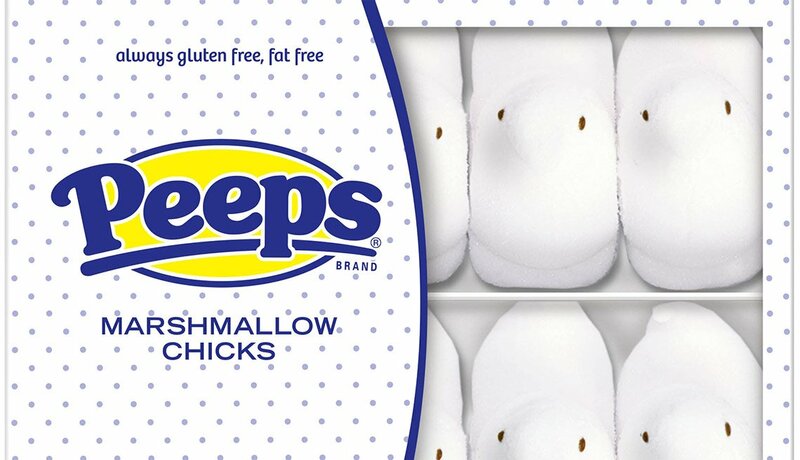 Yellow and white were the original Peep chick colors, but white has been on hiatus for the past decade. Due to popular demand, white was reintroduced. It may be Easter, but chicks still outsell bunnies. In fact, 4 out of every 5 Peeps purchased are chicks. An average 5.5 million Peeps are made every day, adding up to 2 billion Peeps a year — enough to circle the Earth three times. 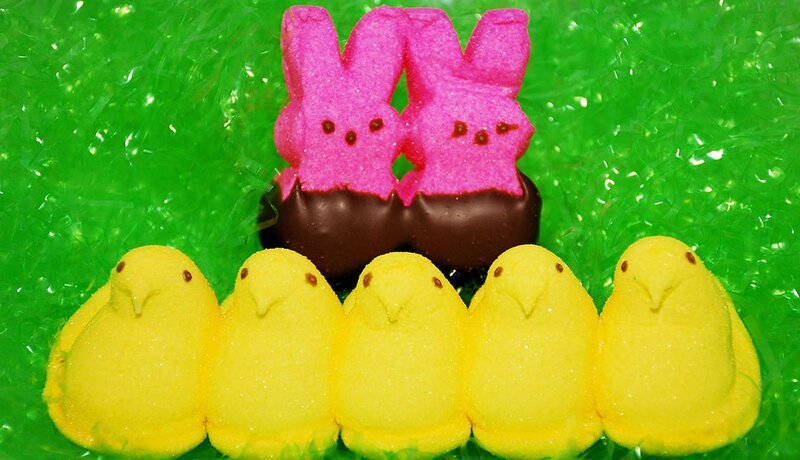 Got some extra Peeps? 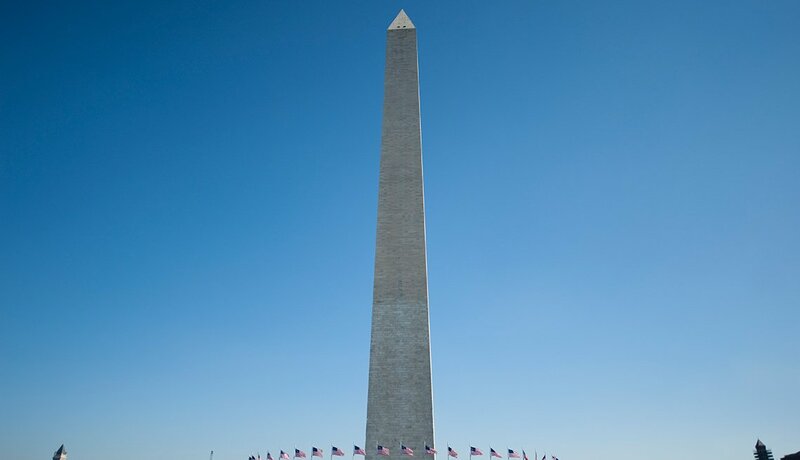 You could stack 2,664 Peep bunnies in a straight line to match the height of the Washington Monument. Where is there a huge, cuddly Peep? 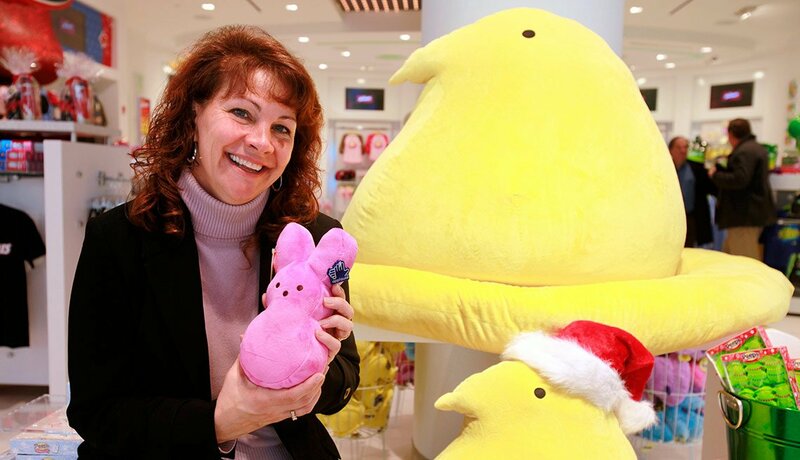 At the first Peeps & Company store, which opened in 2009 just outside Washington, D.C., at the new National Harbor waterfront center. 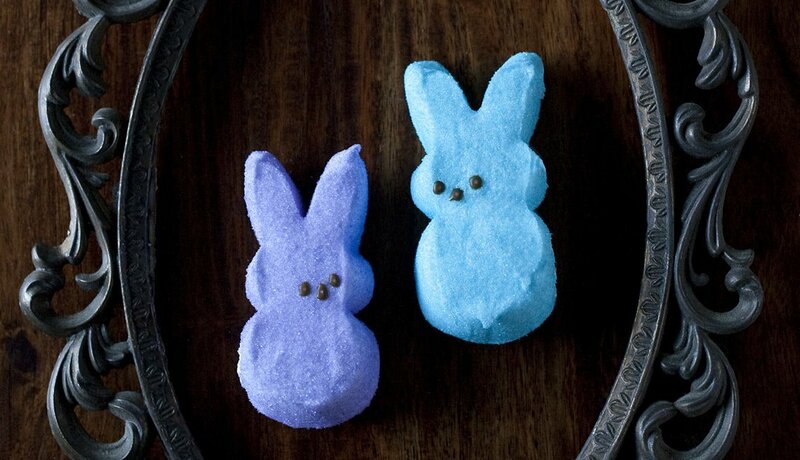 Do you like your Peeps fresh or stale? 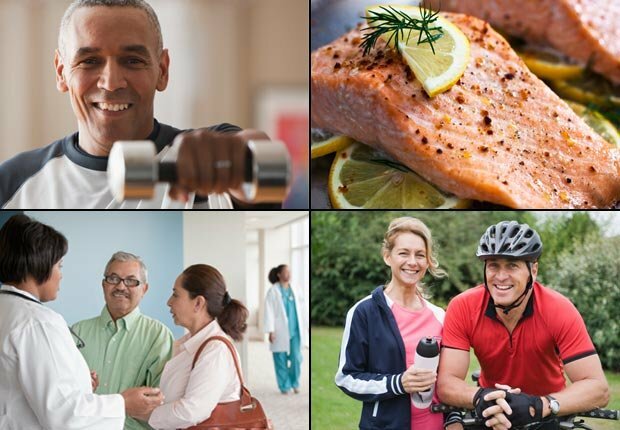 Evidently many love them fresh and fluffy, right out of the box, while others insist they’re better if left out for a week to get firm and “mature,” as the company likes to describe it. 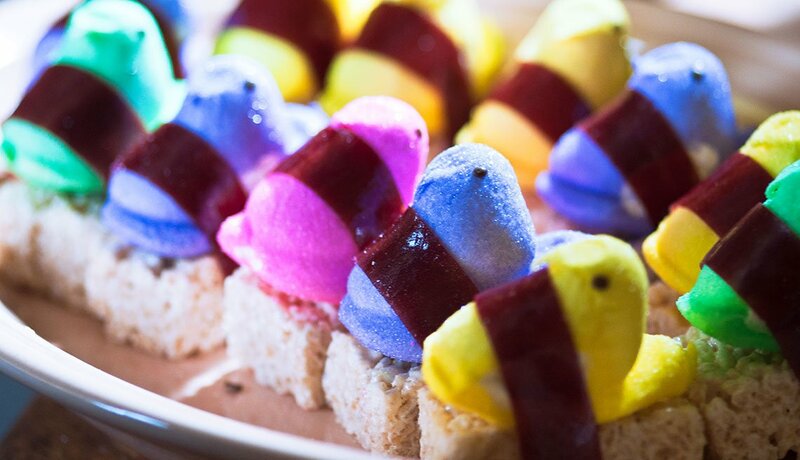 Google “Peeps recipes” and you’ll find every possible Peep permutation, including Peep fondue, Peep sushi, Peep pizza, Peepsicles, even Peeps pots de crème. Peep fans are endlessly inventive. 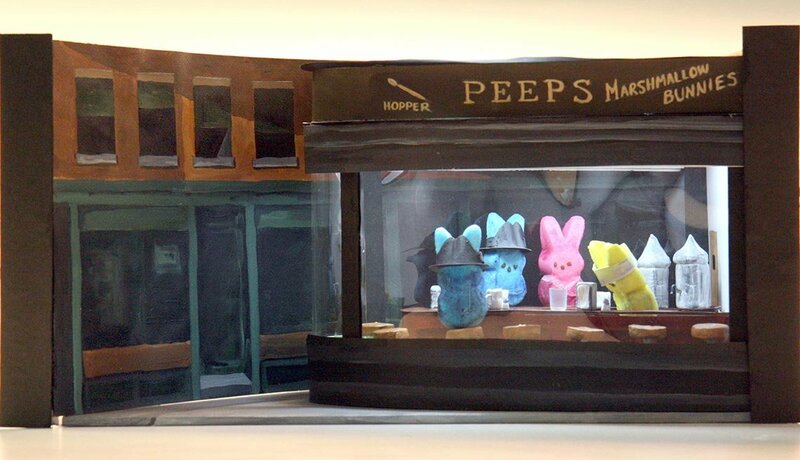 For 10 years, the annual Washington Post Peeps Diorama Contest drew 700-plus entries re-creating Peep versions of everything and everyone from famous politicians (“Presipeep Obama”) to famous paintings (“Nightpeeps”). Peeps jousting is unexplainably popular. 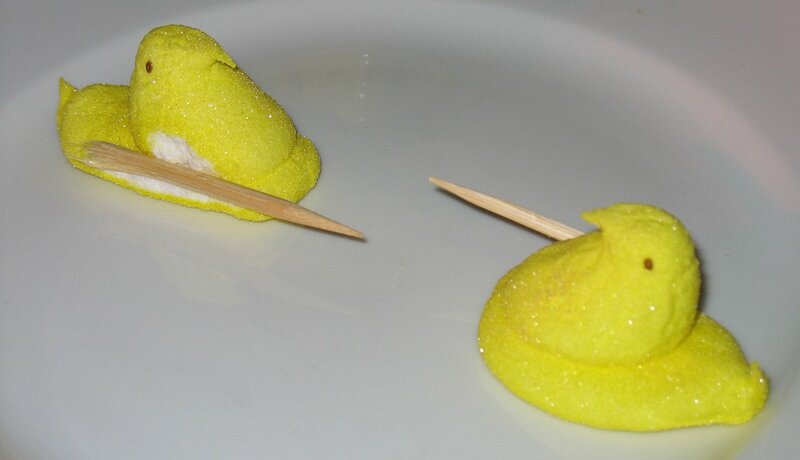 Put two Peeps on a plate facing each other, each inserted with a toothpick that sticks out in front like a lance. Heat in microwave. The Peeps will expand until one’s toothpick “stabs” the other and becomes the winner. 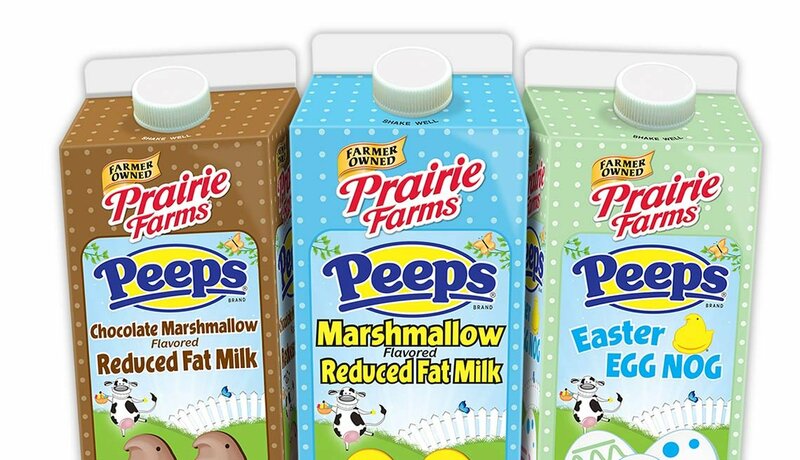 Can you believe, Peeps-flavored milk? Yup, Prairie Farms milk offers four Peeps flavors for Easter. Frankly, at a whopping 37 grams of sugar in an 8-ounce serving (about as much as in 12 ounces of Coca-Cola), this is really more like drinking Peeps with a little calcium. Love coffee? 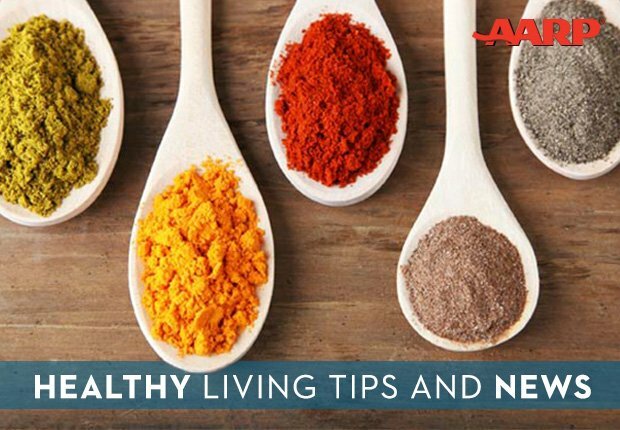 The great news is that it has exciting health benefits.